All the rich businessmen will be after it! Interesting article. Th ank you Seema. 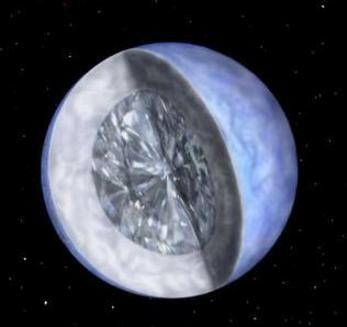 A diamond five times the size of the Earth? I am surprised some human hasn't already studied the way to go and steal it! LEAVE IT THERE, GREEDY HUMANS! LET IT SHINE.